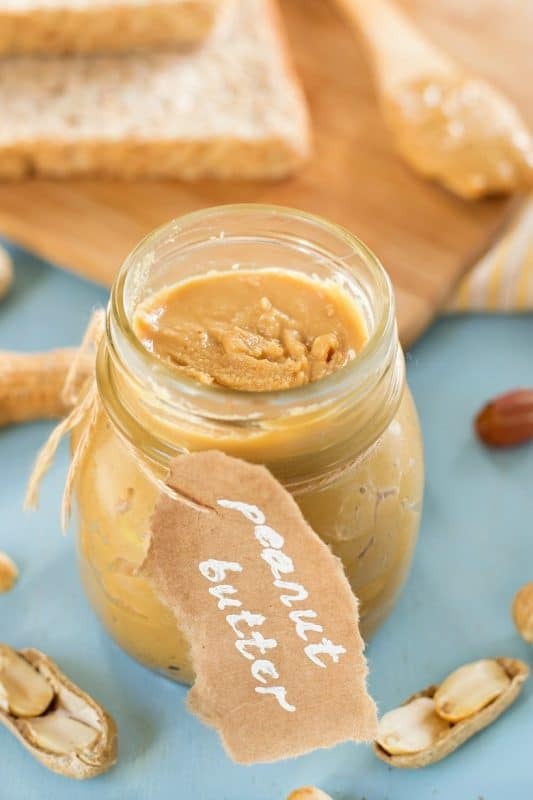 The easiest and most delicious homemade peanut butter recipe. 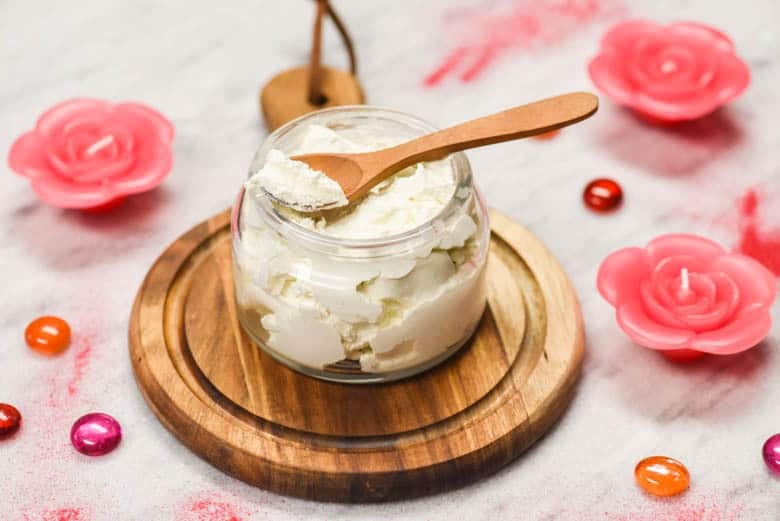 You won’t believe how easy it is to make at home and how so much more delicious it is compared to store bought plus there are no nasty ingredients involved. All natural and full of flavor. Have you ever tasted homemade peanut butter? Ooooh, it is so good! For homemade peanut butter you, of course, need peanuts (or any other nut you want to use). Sometimes you can get them farm fresh, at farmer’s markets or at your local health food store. When bought in bulk, the peanuts can be stored directly in a clean, re-sealable bucket or bagged and in your freezer. We usually start with full 5 gal. buckets and break down one bucket at a time into freezer bags to save space in our freezer. When we need peanut butter, I thaw and grind a bag. 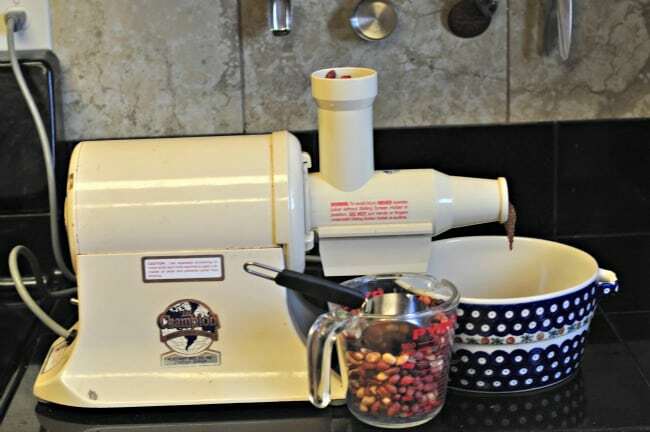 I use the above pictured Champion Juicer, but I understand that homemade peanut butter can also be ground with a VitaMix or other powerful blender. Spread a thin layer of nuts in a pan and roast in oven at 300F for approximately 2 hours. Stir the nuts frequently – do not allow to brown. Taste and continue to bake until the nuts are crisp. If you’ve tried this recipe for Peanut Butter or any other recipe on Cultured Palate please take a minute to rate the recipe and leave a comment letting me know how you liked it. I love hearing from you! You can also FOLLOW ME on PINTEREST, FACEBOOK, INSTAGRAM, YouTube and TWITTER. Fast and easy, and no preservatives. Pour 1/4 c peanuts at a time into the shaft. Push down gently with the plunger. Peanut butter extrudes into a bowl. Continue until the desired amount of peanut butter is ground. The peanut butter can be re-ground to achieve a very smooth texture if you like. Cover and store in cool place. Peanut butter can also be made in the food processor. 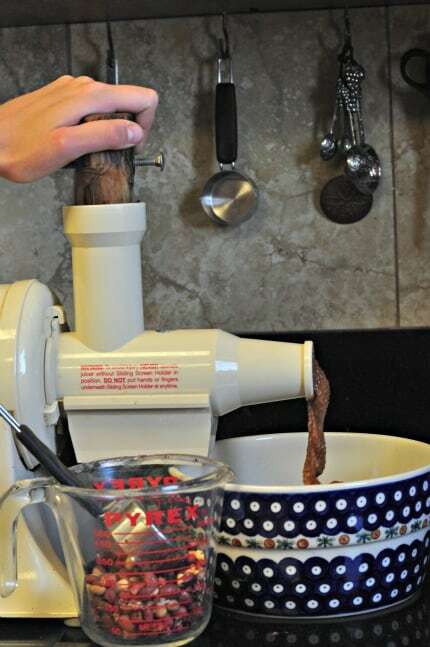 Add the roasted nuts to the food processor and process until smooth. Homemade peanut butter is 100x better than store bought. Love the sound of your recipe! Thanks, Emily! I agree – I love having homemade replacements without all the unnecessary ingredients of the store bought version!